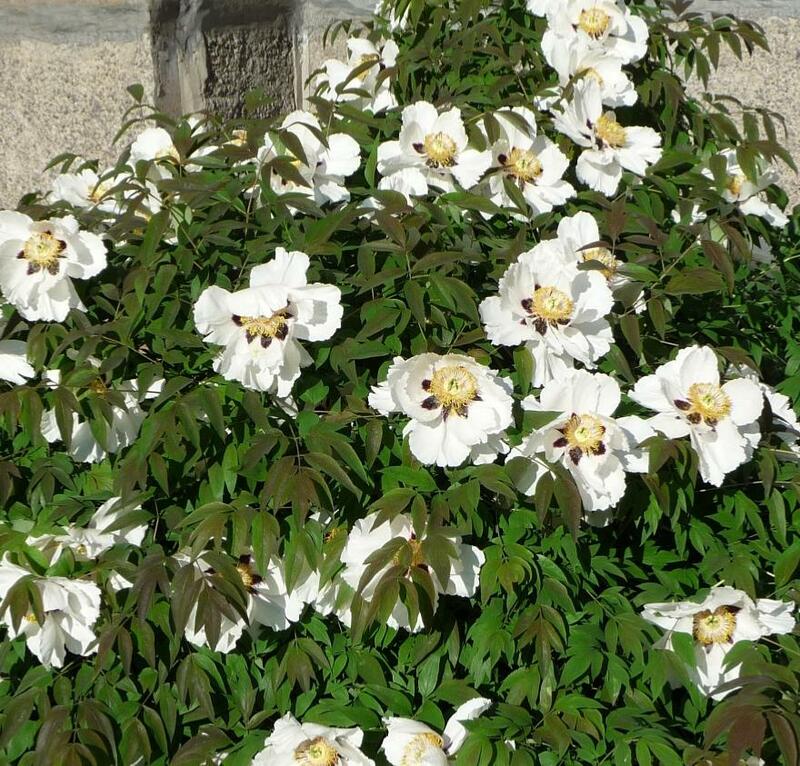 Here we offer the true wild species Paeonia rockii from Wild Collected Plants. 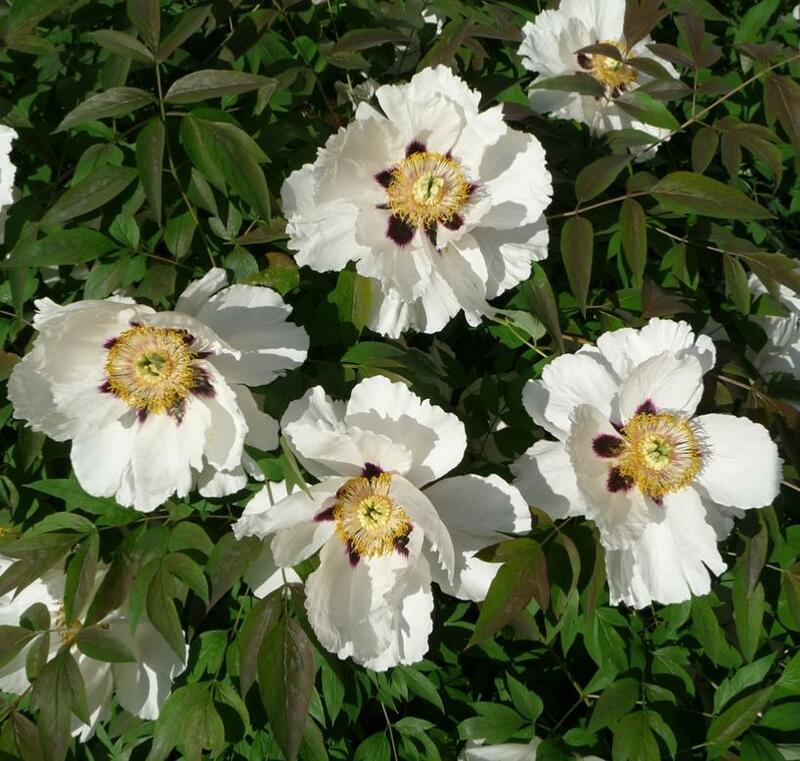 Peony rockii is a beautiful large flowered shrubby species with stunning pure white ruffled flowers marked internally with a dark purple blotch. The species is relatively easy to grow and slowly develops into is a shrub up to a metre or so high and a little more wide. 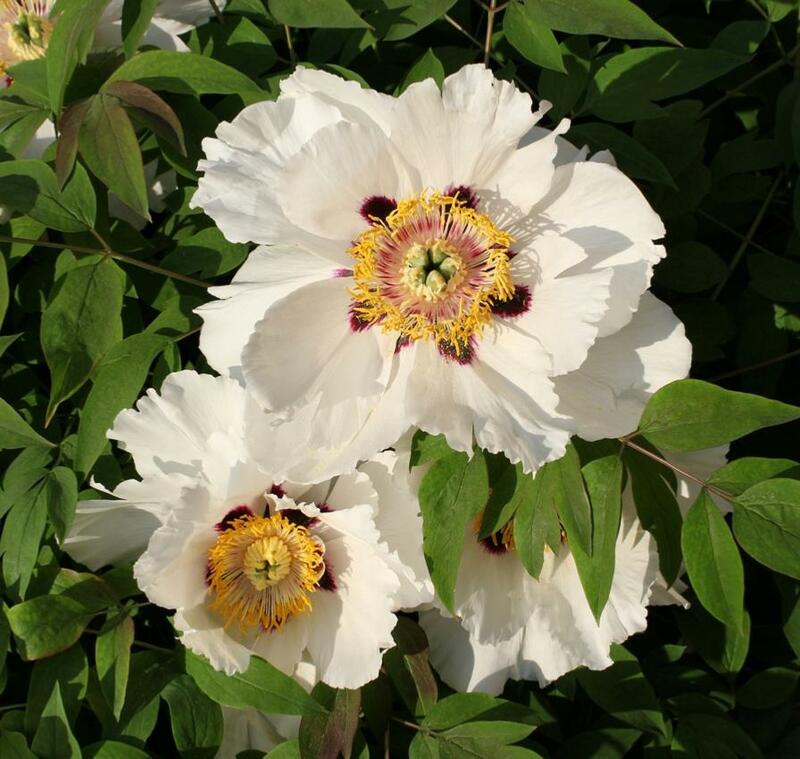 Plants that in the past have been grown and distributed variously as Paeonia rockii or Peony Rock’s Variety are cultivated plants from a Joseph Rock introduction in around 1925, most likely from Garden Origin in China and almost certainly from cultivated hybrids. 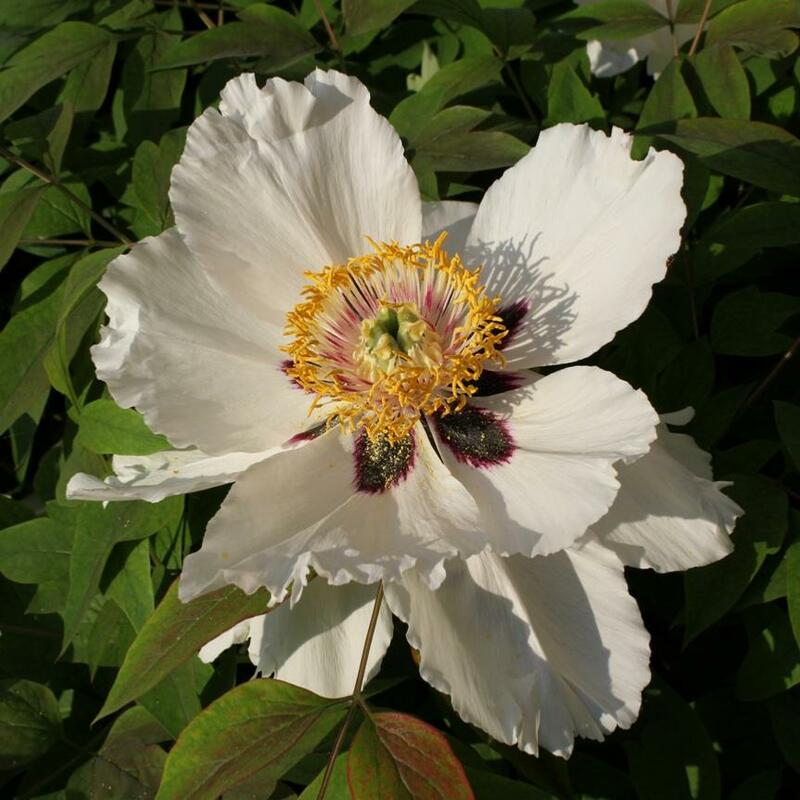 Paeonia rockii or Ziban Mudan is now recognised as the wild species name for wild populations in Central and western China of the tree peony with large relatively simple white flowers, often with ruffled edges and a significant purple to black blotch at the base on each petal. 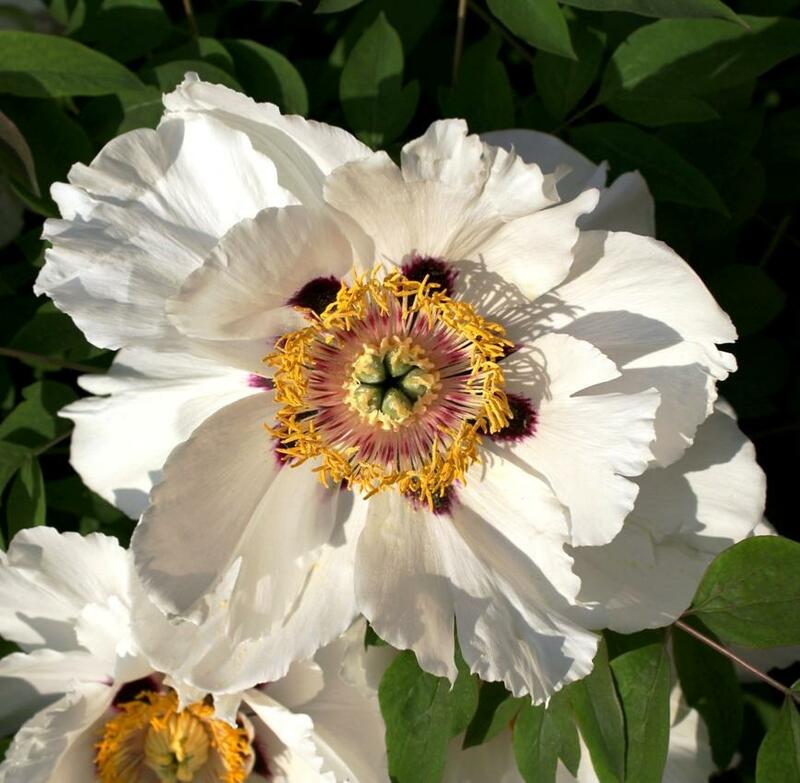 Originally thought to have been introduced to cultivation in the west by Joseph Rock in 1925, it now seems likely that Rock’s introduction may have been of cultivated hybrid origin and these hybrids are now collectively referred to as the Gansu Mudan. 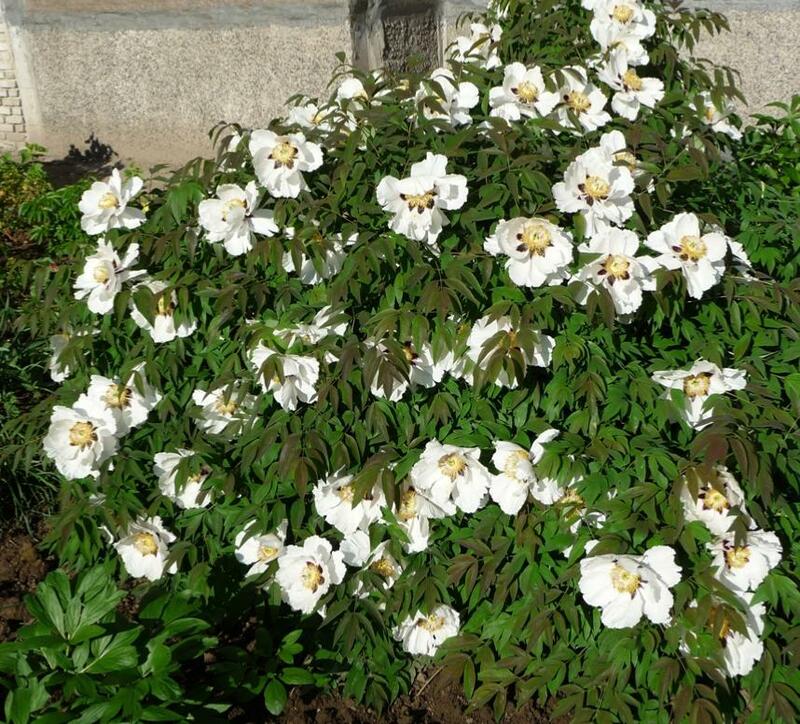 More likely is that Reginald Farrer had seen and described the wild species in 1914 but then referred to it as a subspecies of P. suffruticosa, itself now an invalid name for hybrids currently collectively known as Central Plains Mudan.Tree Peonies with blotched white flowers have been known about in the west since the beginning of the 19th century and cultivated in China for a great deal longer, but are mostly cultivated rather than wild and most likely of hybrid origin. The true wild populations have only remained so as a result of them being found in remote, mostly inaccessible and mountainous regions of the mid and western parts of China and are the only reason that they have survived. Our plants are propagated from seed supplied by the leading authority of Gansu Mudan.